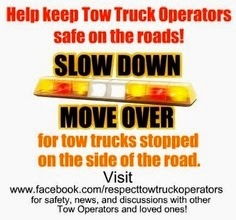 Move Over laws to now include Tow Truck Operators. comes with a hefty fine of $500 if not adhered to. emergency vehicles and now tow trucks.